A small real lava rock bead is wire wrapped with a small brass hex bead and faceted labradorite bead for an unexpected and modern bangle. Bangle slips over wrist. It will bend but you can easily reshape. Lava bead is white, darker oils may discolor the bead but it will in no way affect it's function as a diffuser. 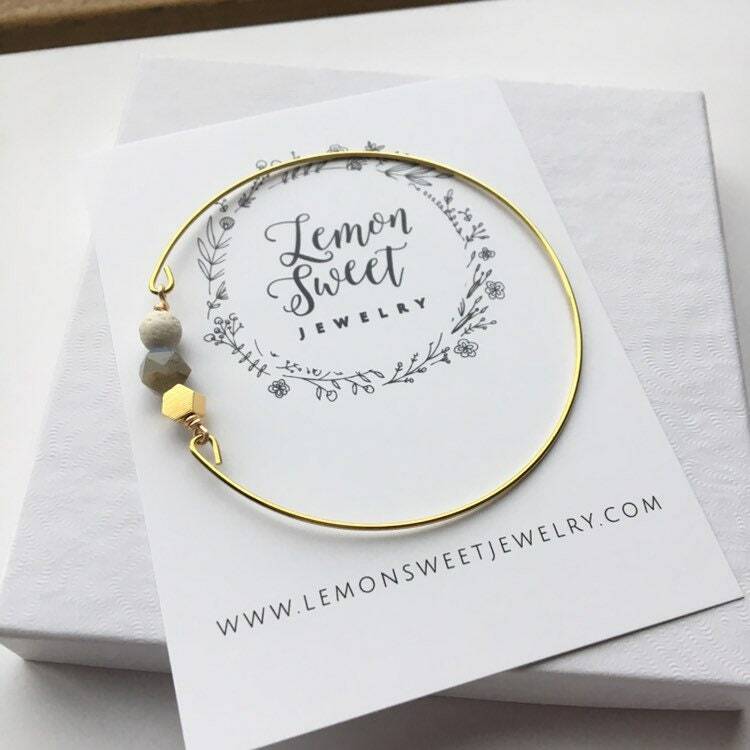 All designs and content, rights reserved © 2017 Lemon Sweet Jewelry Llc. I love my bracelet !